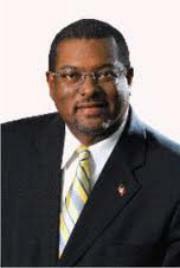 Antigua and Barbuda National Security Minister Errol Cort has expressed dismay at continuing gun violence. For the month January, 2011, three murders have already taken place. The latest victim is the 21-year-old brother of an accused man awaiting trial for the murder last year of a British honeymooning couple. Dr Cort said that his death had "sent shock waves" through the country. He said the proliferation of illegal firearms and ammunition "must and will be stamped out." Police will increase 'stop and search' and other crime-fighting measures, he announced.